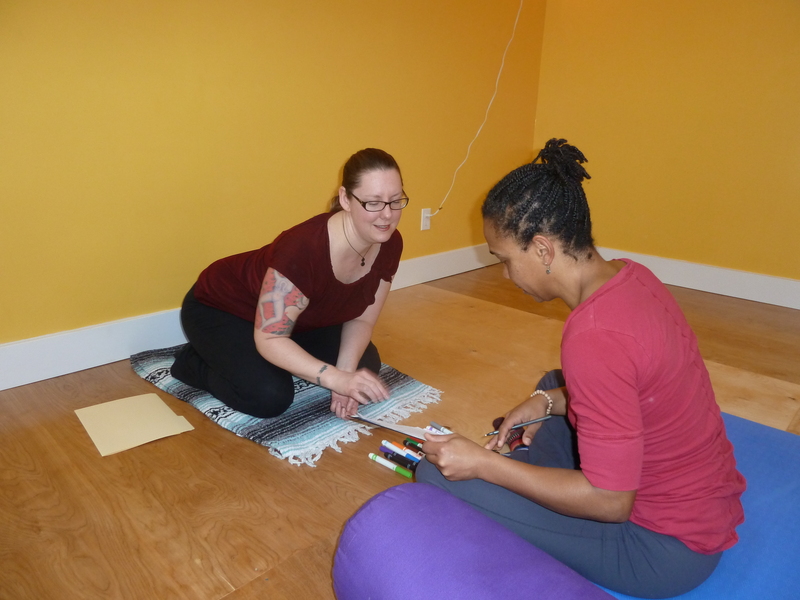 Laura Humpf, owner of Rainier Beach Yoga, also runs a private Yoga Therapy practice. Go to Satmato.com to learn more. Yoga Therapy is a creative, compassionate, mindful and embodied approach to healing, and I see myself a guide to help you unlock the wisdom of healing inside yourself. As a Licensed Mental Health Therapist and certified Yoga Therapist, I work with people going through diverse challenges such as: trauma, depression, relationship with body image and food and grief and loss. SCHEDULE YOUR FREE 20 MINUTE PHONE CONSULT. Yoga Therapy is a different approach to mental and physical health that comes from the position that you are whole. We look at how your strengths, physically, mentally and spiritually, can assist you in meeting your challenges. We use the body, breath, mind and spirit to help access what will be the most effective tools for you, and each session is uniquely tailored to your needs. This is a different kind of therapy, and I would love to talk with you to see if it might be a good fit for you. * If you do not see a time that works for you contact me. We can look into finding a time that may work better for you.